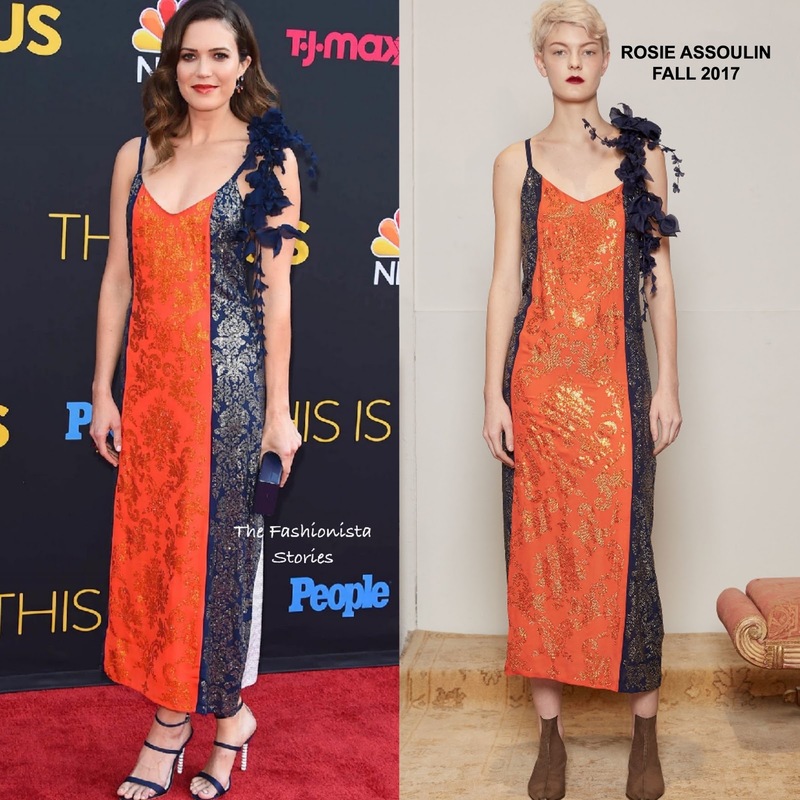 'This Is Us' returned last night(September 26th) and Mandy Moore attended the premiere at NeueHouse Hollywood in LA. She hit the red carpet in a ROSIE ASSOULIN FALL 2017 color-block Swarovski slip dress which featured a scoop neckline and a detachable floral brooch. Beauty wise, she complimented her look with side parted waves and a colored lip which topped off her look along with the EDIE PARKER 'Jean' navy magnetic clutch and SOPHIA WEBSTER sandals.